1st day: 06:25 – Meeting at the railway station. Excursion around the town. Breakfast. Excursion to Malye Korely, the open-air museum of wooden architecture and folk art. Lunch. Excursion to the museum of Local Lore. 17:30 – 18:00 – boarding the ship. Sailing off. Dinner. Evening party in a music saloon. 2nd day: 08:00 – A stop at the port Brin-Navolok. Breakfast. 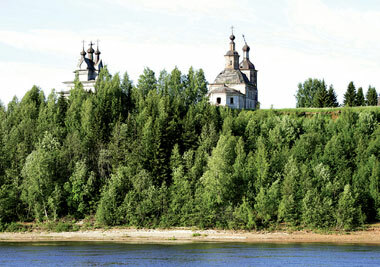 Excursion to the Antoniev-Siysky monastery. Lunch. Excursion around the ship “Patriarchy of the Russian Fleet is 100”. Dinner. 3rd day: Breakfast. Master-class. Lunch. Creative activity. Quiz. Dinner. 19:00 – 21:00 – a stop in Verkhnaya Toyma village. Walk around the northern village. The Museum of Local Lore. 4th day: 08:00 – 18:00 – a stop in Krasnoborsk village. Breakfast. Excursion around the village and to the Museum of Local Lore. Lunch. Excursion “Along the Borisov’s places” including the visit to the health resort “Solononikha”. 5th day: 00:00 – a stop at the town of Kotlas. Breakfast. 09:00 – 18:00 - excursion to Veliky Ustug. 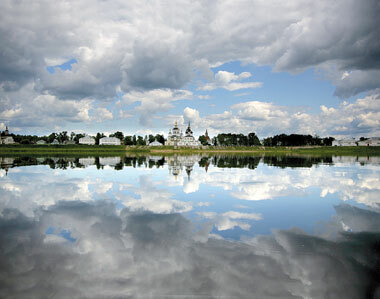 Visit to the Troitse-Gledensky Monastery. Dymkovskaya settlement. Lunch. Architectural monuments of the 17-18 centuries of Veliky Ustug. Excursion to the museum of Local Lore. Visit of the reception of Father Frost. Dinner. 6th day: A stop in the town of Kotlas. Breakfast. 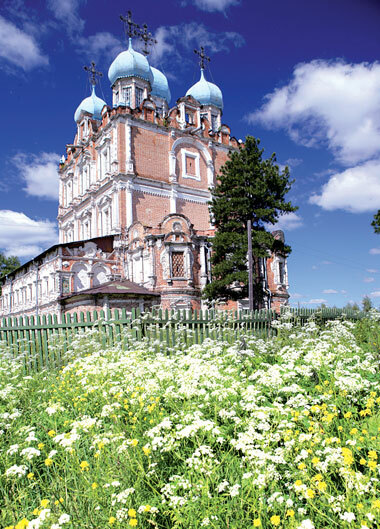 09:00 – 18:00 – excursion to Solvychegodsk: walk around the town, visit of the Annunciation Cathedral and the Museum of Local Lore. Lunch. The Museum of Political Exile. The school of arts and crafts – master-class. 18:00 - departure from Kotlas. Dinner. 7th day: Breakfast. Lunch. Dinner. 19:00 - 00:00 – green stop. Rest on the river-bank. 8th day: Breakfast. 12:00 - Arrival in Arkhangelsk. Lunch. Excursion to the State Museum Association “Art Culture of the Russian North”. Free time. Transfer to the railway station. We can also offer you various programmes for 2, 3, 4 days and river walks, day off rounds. You can combine business and rest, carry on negotiations, seminars, conferences.